Do you know what is plantar fascitis? Have you ever heard this term? Maybe you haven´t but you have felt or know someone who has had this uncomfortable condition. 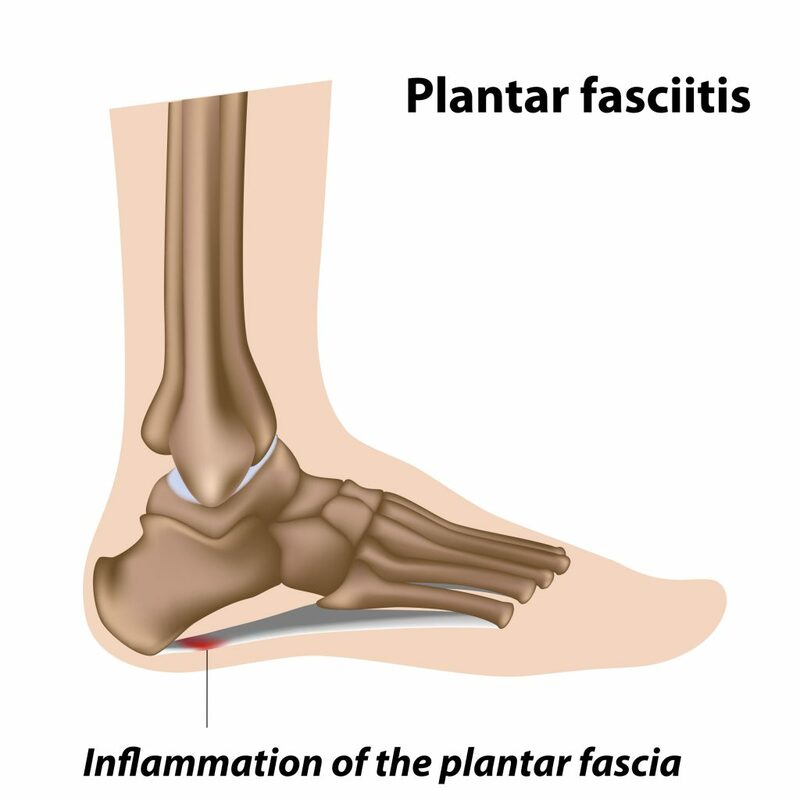 Plantar fascitis causes a lot of pain in the bottom of the heel; it’s one of the most frequent causes of this type of pain and involves inflammation of a band that runs across the bottom of the foot, connecting the heel bone to the toes. It causes stabbing pain most regularly with the first steps at mornings when waking up. The plantar fascia is a thick ligament that connects the heel to the front of the foot, it supports the arch of the foot and helps on walking. People with this condition explains that regularly the pain decreases during the day when they get up and move, but may come back when standing or sitting for a long time. This is a common orthopedic complaint because the plantar fascia ligaments experience a lot of wear and tear in the daily life, but is also more common to see in people who are overweight, on those who wear wrong support shoes and runners. Usually the pain isn’t felt during the activity but rather when stopping. It occurs when there is too much pressure on the feet and the ligaments can tear or be damage, so the plantar fascia gets inflamed causing the pain. The good news is that at Body & Health Creation we are experts on solutions to your body health. Our team of osteopaths will diagnose and treat your injury to get you back the balance and the peace you need. Usually it causes a stabbing pain in the bottom of the foot, near to the heel, and as we described, it’s worst after awakening, by long periods of standing or when rising from sitting. Well, knowing that the role of the plantar fascia is to act like a shock- absorbing bowstring, a lot of tension in that area is a regular cause. Also, with repetitive stretching and tearing movements may cause this condition. Another risk factor is related to age (+40), certain types of exercise, being on your feet for long periods during the day, and obesity. When it comes to treatment, the most important approach to have is to reduce the plantar fascia ligament inflammation and stop the pain. Reducing the load off the tendon/heel will ultimately decrease pain signals and improve function and movement in the foot again. For more information about plantar fasciitis or to book a consultation with one of our osteopaths please call (03) 9329 9889 or book online below.